Laid down, 23 March 1987 at Avondale Shipbuilding, New Orleans, LA. 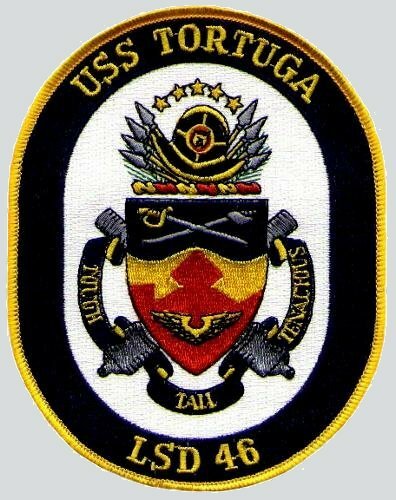 Tortuga is forward deployed at Fleet Activities, Sasebo, Japan and homeported at NAB Little Creek, VA.
26k USS Tortuga (LSD-46) underway, date and location unknown. 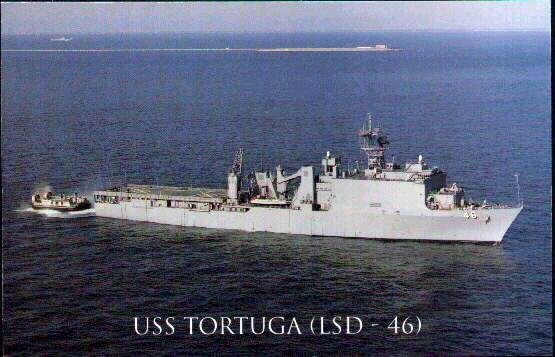 49k USS Tortuga (LSD-46) underway, date and location unknown. 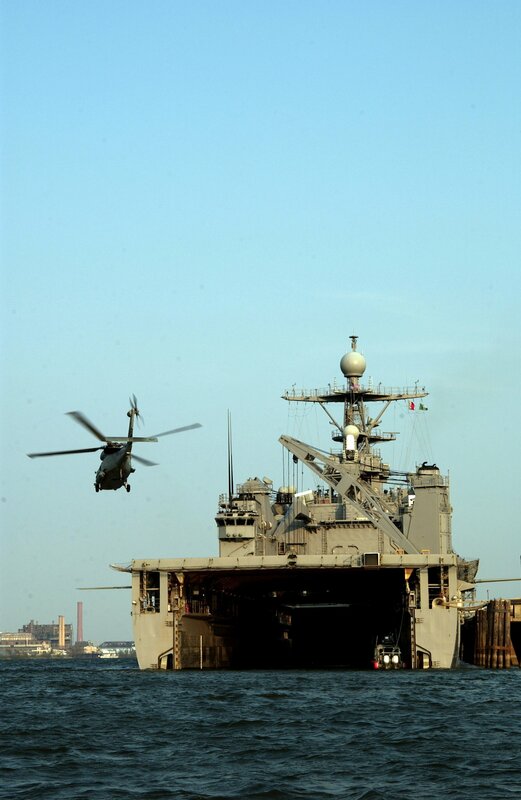 463k A US Navy SH-60 Seahawk helicopter takes off from the deck of USS Tortuga (LSD-46) while she is moored pierside in New Orleans, 5 September 2005.. Tortuga has been transporting Hurricane Katrina victims to the ship where they are given hot meals, showers and beds to sleep in. 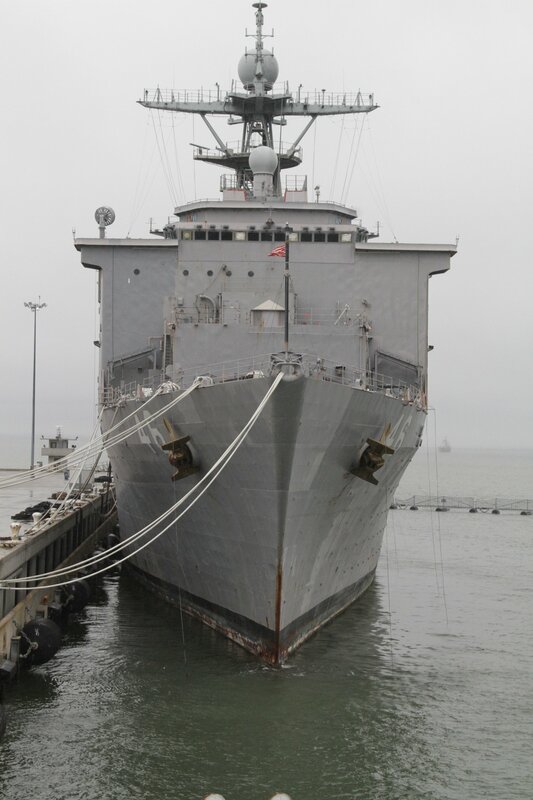 The Navy's involvement in the humanitarian assistance operations is being led by the Federal Emergency Management Agency (FEMA), in conjunction with the Department of Defense. 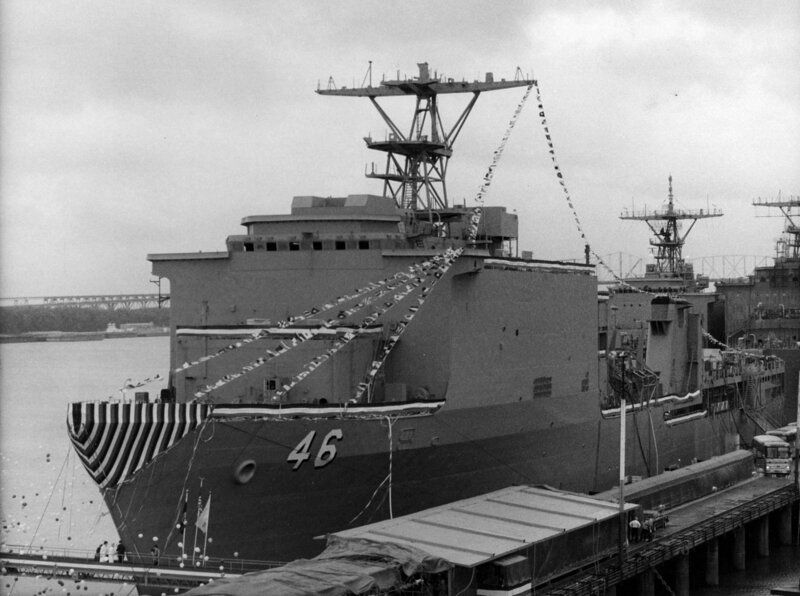 63k USS Tortuga (LSD-46) moored at Naval Support Activity New Orleans in support of Hurricane Katrina humanitarian assistance operations. 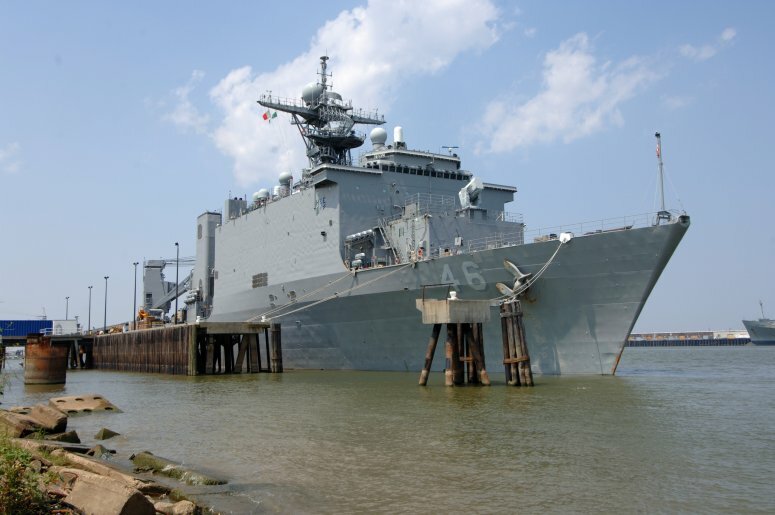 The Navy's involvement in the humanitarian assistance operations is being led by the Federal Emergency Management Agency (FEMA), in conjunction with the Department of Defense. 264k USS Tortuga (LSD-46) cruises off the coast of Curacao during exercise Relieve Discomfort. 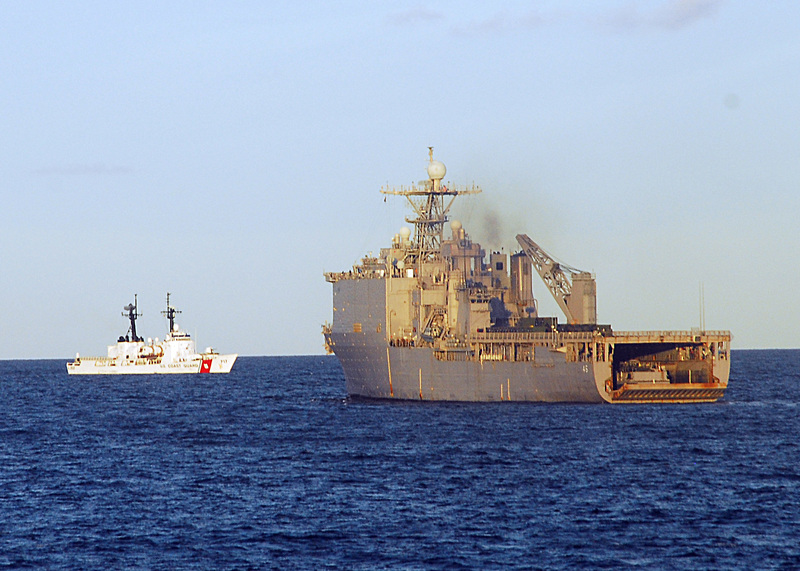 The Marines, Assault Craft Unit Two (ACU-2) and Tortuga are all participating in Exercise Relieve Discomfort. Relieve Discomfort is a crisis response exercise aimed at improving Standing Naval Forces, Atlantic (SNFL's) operational capability to undertake humanitarian aid and disaster relief. Countries involved include the Netherlands, Germany, Denmark Spain, United Kingdom, the U.S. and Canada. 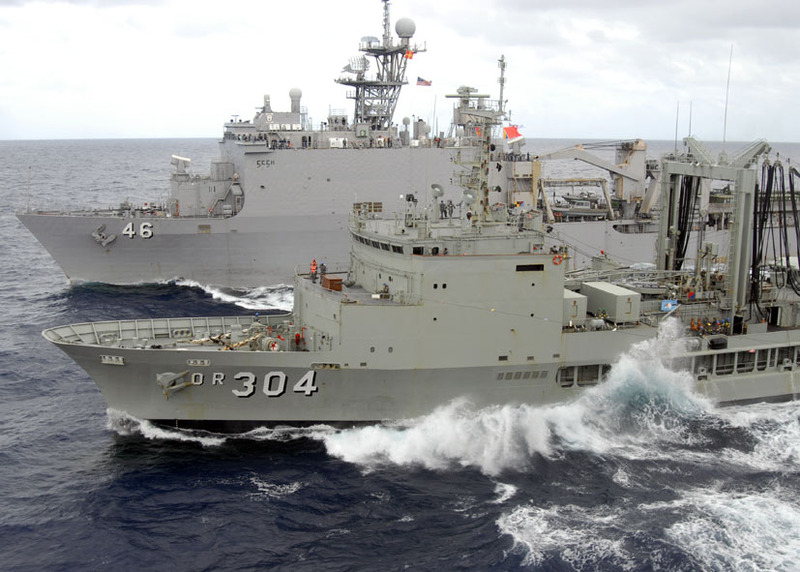 262k USS Tortuga (LSD-46) approaches the Royal Australian Navy replenishment oiler HMAS Sirius (O 266), 15 June 2007, in the Coral Sea as Amphibious Assault Ship (Multi-Purpose) USS Essex (LHD-2) conducts a refueling at sea during Talisman Saber 2013, 15 June 2007. TS07 is a U.S. and Australian-led Joint Task Force operation preparing our militaries for crisis action planning and execution of contingency operations. TS07 is designed to maintain a high level of interoperability between U.S. and Australian forces, demonstrating the U.S. and Australian commitment to our military alliance and regional security. 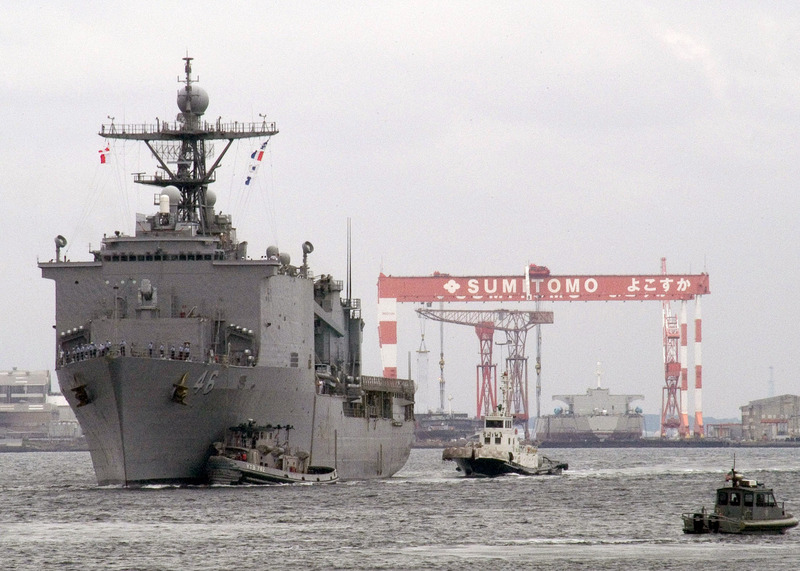 716k USS Tortuga (LSD-46) is assisted by Manistee (YTB-782) and other harbor tugs as she arrives at Fleet Activities Yokosuka, Japan (CFAY), 1 September 2007. Tortuga participated in a simulated evacuation of stranded citizens from Tokyo's Kasai Kaihin Park to the ship via landing craft air cushion LCACs as part of a Tokyo Metropolitan Government disaster relief drill. 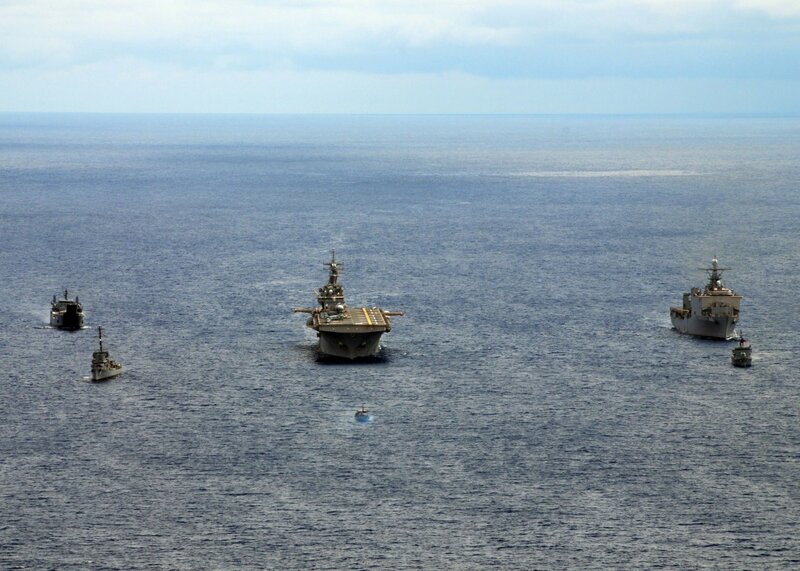 This is the second year that the U.S. Navy has participated in this type of drill. 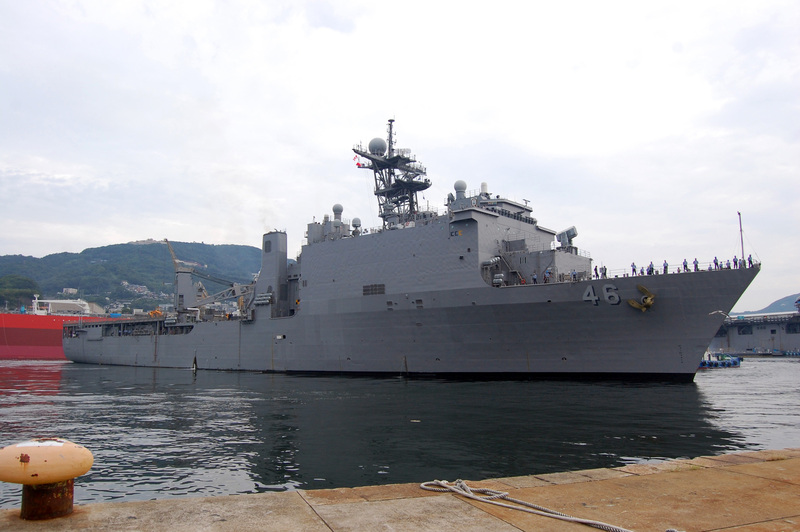 2256k USS Tortuga (LSD-46) gets underway from Fleet Activities Sasebo departing on fall patrol. 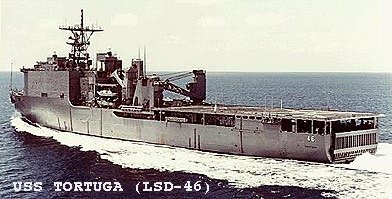 Tortuga is a dock landing ship with Task Force 76, the Navy�s only permanently forward-deployed amphibious force, headquartered at White Beach, Okinawa, Japan, with an operating detachment in Sasebo. 95k USS Tortuga (LSD-46) underway in San Diego, Bay, in 2007. Richard Miller BMCS USNR Ret. 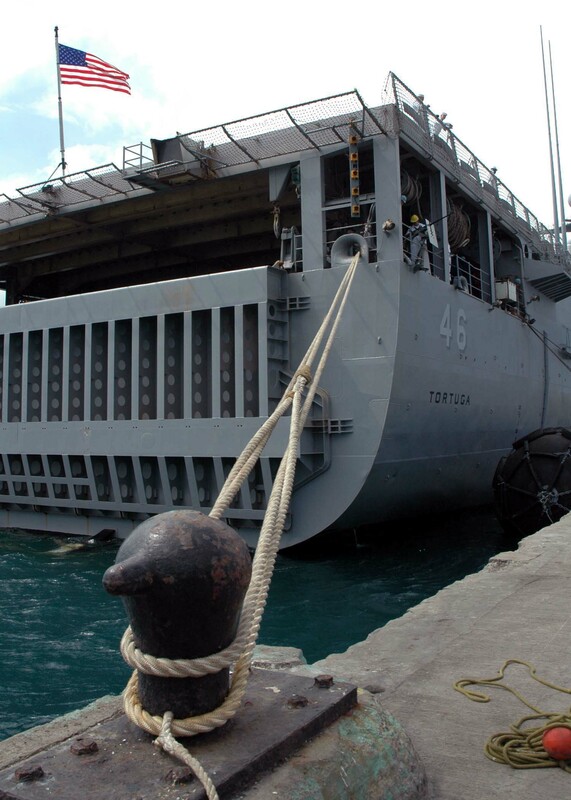 259k USS Tortuga (LSD-46) moored pierside at Puerto Princesa, Republic of the Philippines, 25 May 2008, at the opening of cooperation afloat readiness and training (CARAT) 2008. 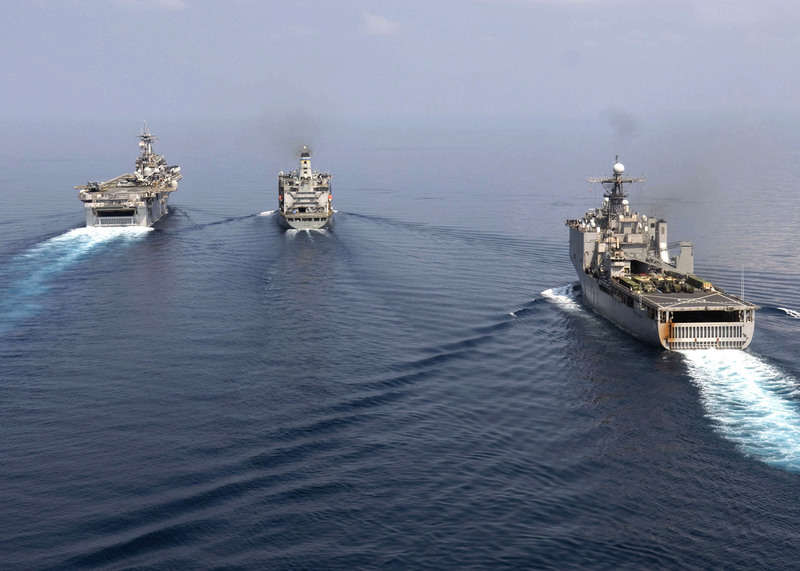 The Republic of the Philippines and the United States are working together on a variety of military exercises and medical and civil assistance projects as part of CARAT 08. 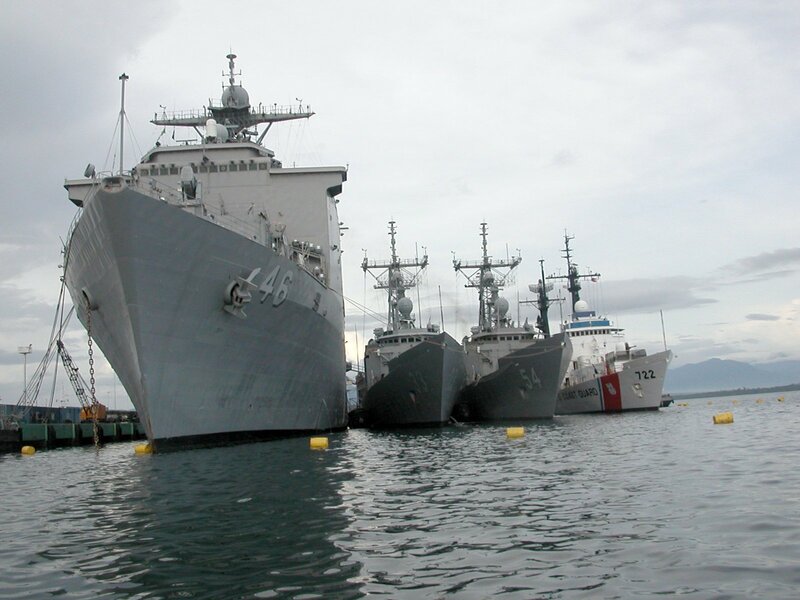 1006k USS Tortuga (LSD-46) with the guided-missile frigate USS Jarrett (FFG-33), the guided-missile frigate USS Ford (FFG 54) and the US Coast Guard cutter USCG Morgenthau (WHEC-722) are moored at the commercial pier in Puerto Princesa, Republic of the Philippines, 2 June 2008, at the conclusion of the Philippine portion of the Cooperation Afloat Readiness and Training (CARAT) 2008 exercise. 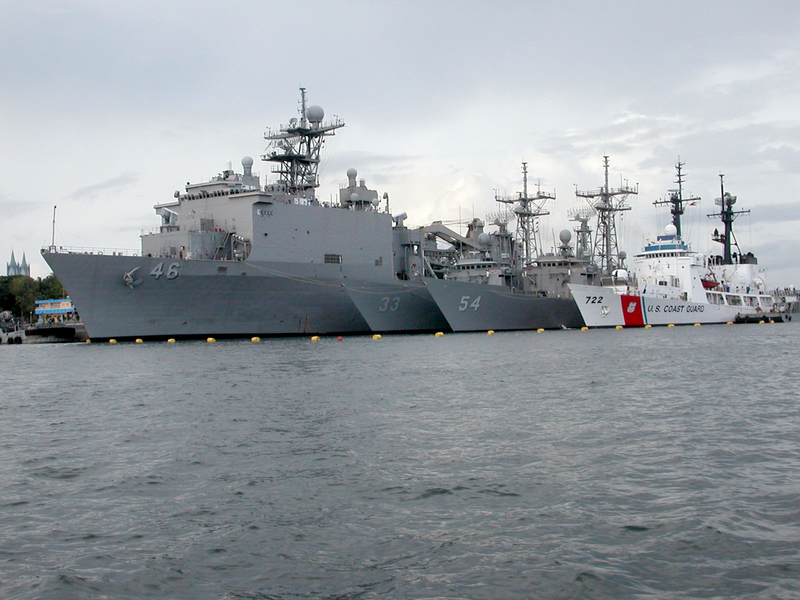 274k USS Tortuga (LSD-46) with the guided-missile frigate USS Jarrett (FFG-33), the guided-missile frigate USS Ford (FFG 54) and the US Coast Guard cutter USCG Morgenthau (WHEC-722) are moored at the commercial pier in Puerto Princesa, Republic of the Philippines, 2 June 2008, at the conclusion of the Philippine portion of the Cooperation Afloat Readiness and Training (CARAT) 2008 exercise. 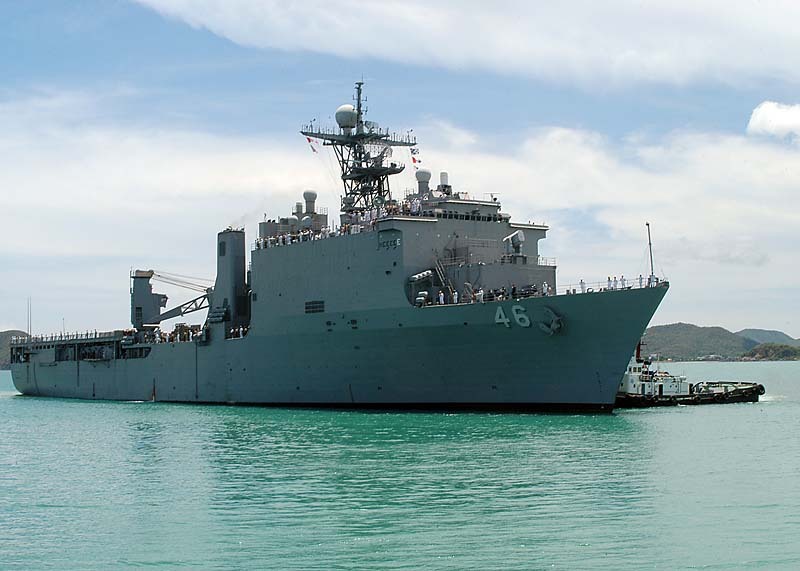 767k USS Tortuga (LSD-46) arrives in Thailand, 8 June 2008, from a recent Cooperation Afloat Readiness and Training (CARAT) exercise in the Philippines. 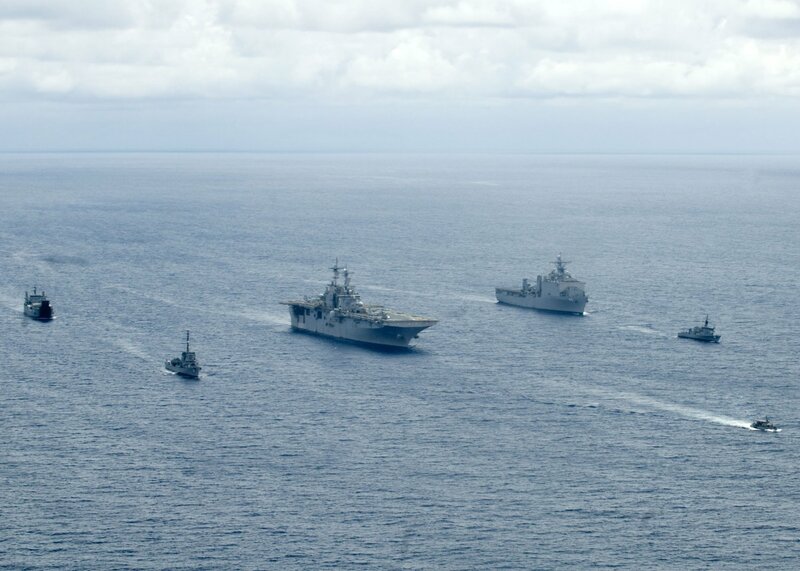 CARAT is an annual series of bilateral maritime training exercises between the United States and six Southeast Asian nations designed to build relationships and enhance the operational readiness of the participating forces. 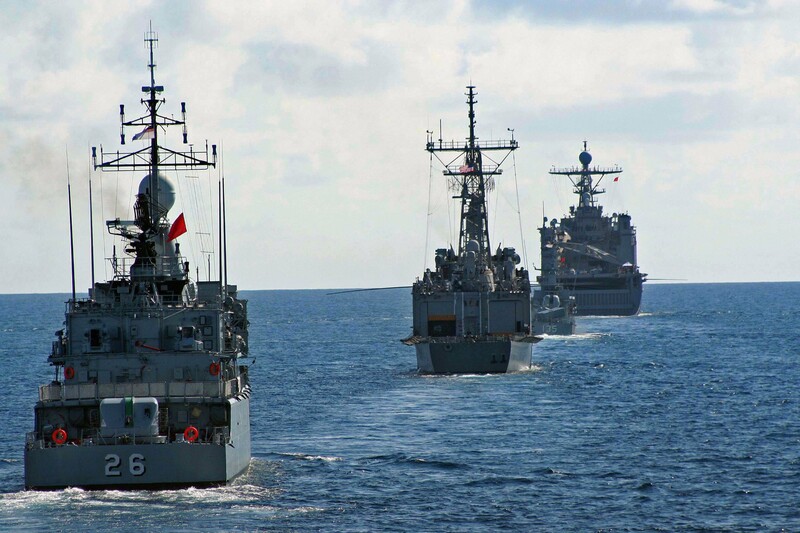 405k USS Tortuga (LSD-46) leads the way followed by the Royal Malaysian Navy ship KD Lekir (F-26), followed by the guided-missile frigate USS Jarrett (FFG-33), and the Royal Malaysian Navy ship KD Laksamana Tun Abdul Jamil (F-135) line up during a maneuvering exercise in the South China Sea, on 14 July 2008, as part of the Malaysian phase of cooperation afloat readiness and training (CARAT) 2008. 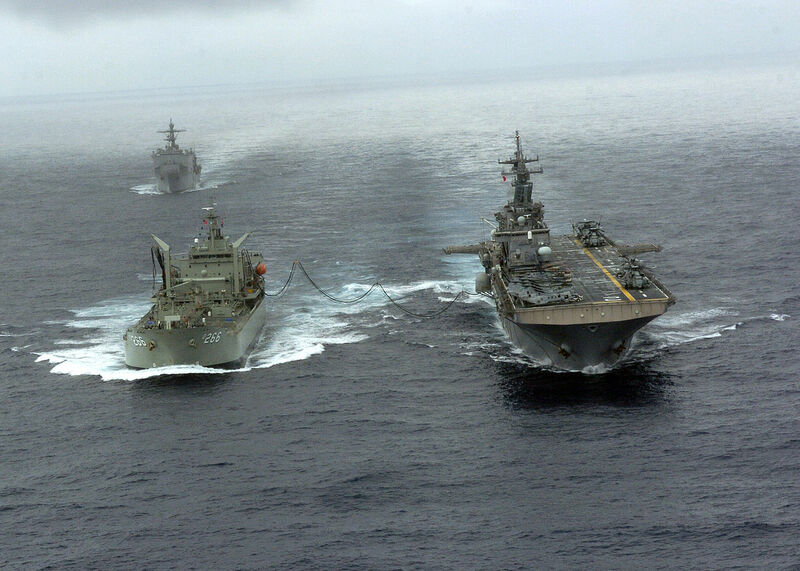 379k USS Tortuga (LSD-46) approaches the fleet replenishment oiler USNS Rappahannock (T-AO-204), already alongside USS Essex (LHD-2) for a refueling-at-sea, preparing for Cobra Gold 2009. Cobra Gold is an annual Kingdom of Thailand and U.S. co-sponsored military exercise designed to train U.S. and partner Asian-pacific forces. The exercise will include humanitarian projects with participants from Indonesia, Japan, Singapore, Thailand and the United States. 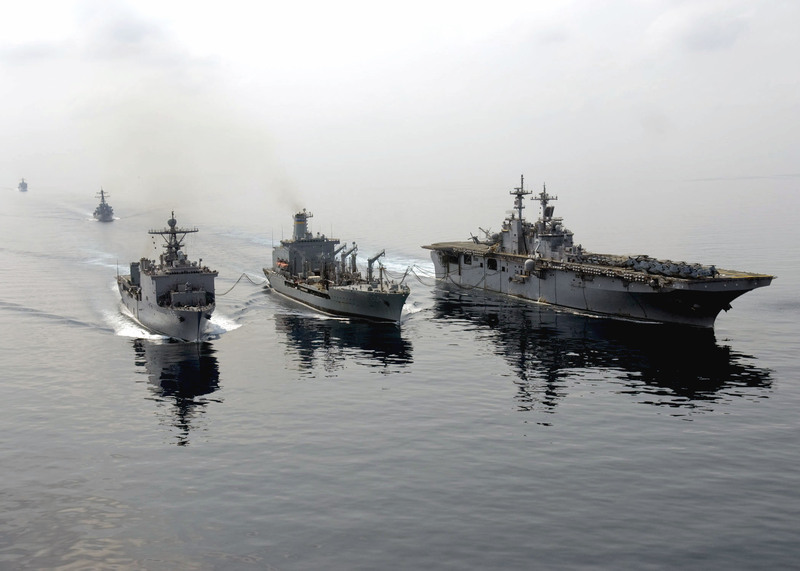 289k USS Tortuga (LSD-46), left, and USS Essex (LHD-2), right, steam alongside the fleet replenishment oiler USNS Rappahannock (T-AO-204), with the guided-missile destroyer USS Stethem (DDG-63) and the amphibious dock landing ship USS Harpers Ferry (LSD-49) close behind, during an refueling at sea, preparing for Cobra Gold 2009. Cobra Gold is an annual Kingdom of Thailand and U.S. co-sponsored military exercise designed to train U.S. and partner Asian-pacific forces. The exercise will include humanitarian projects with participants from Indonesia, Japan, Singapore, Thailand and the United States. 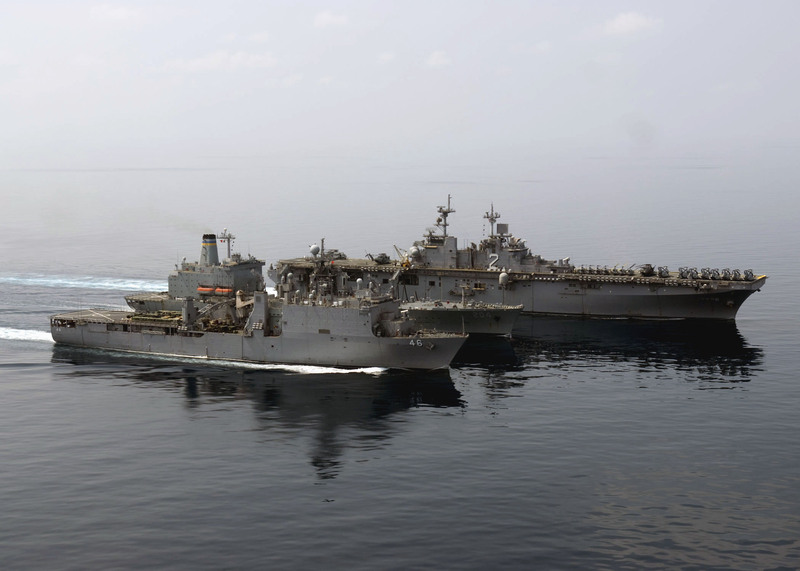 090206-N-5253W-127 282k USS Tortuga (LSD-46), left, and the amphibious assault ship USS Essex (LHD-2), right, receive fuel from the fleet replenishment oiler USNS Rappahannock (T-AO-204) during a refueling at sea preparing for Cobra Gold 2009. Cobra Gold is an annual Kingdom of Thailand and U.S. co-sponsored military exercise designed to train U.S. and partner Asian-pacific forces. The exercise will include humanitarian projects with participants from Indonesia, Japan, Singapore, Thailand and the United States. 787k USS Tortuga (LSD-46) steams through the Gulf of Thailand during exercise Cobra Gold 2009. Cobra Gold is an annual Thailand and U.S. co-sponsored joint coalition multinational military exercise designed to train a Thai, U.S. and Singaporean Coalition Task Force. 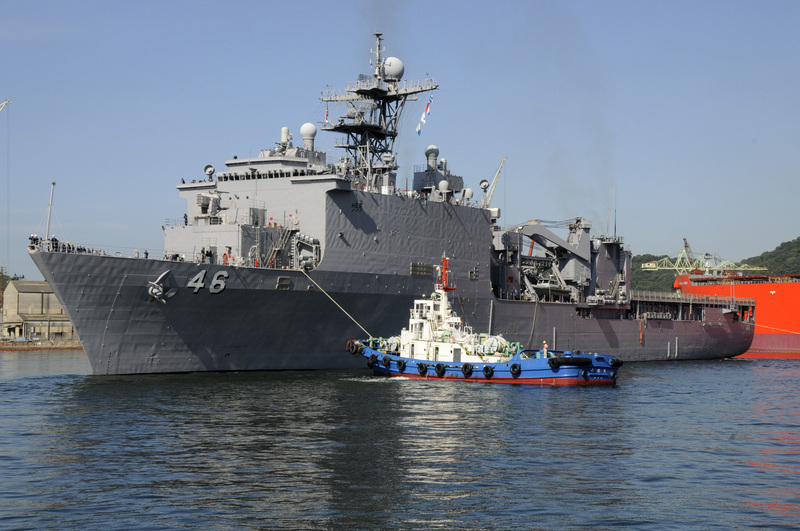 1386k A tug assists USS Tortuga (LSD-46) as she departs Sasebo to begin her fall patrol. 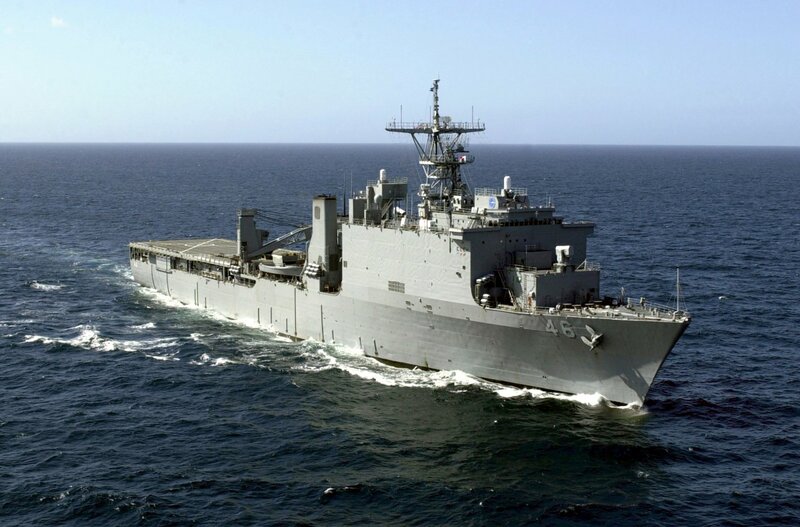 Tortuga is part of the Denver Amphibious Task Group, which will participate in exercises with three different allied nations. 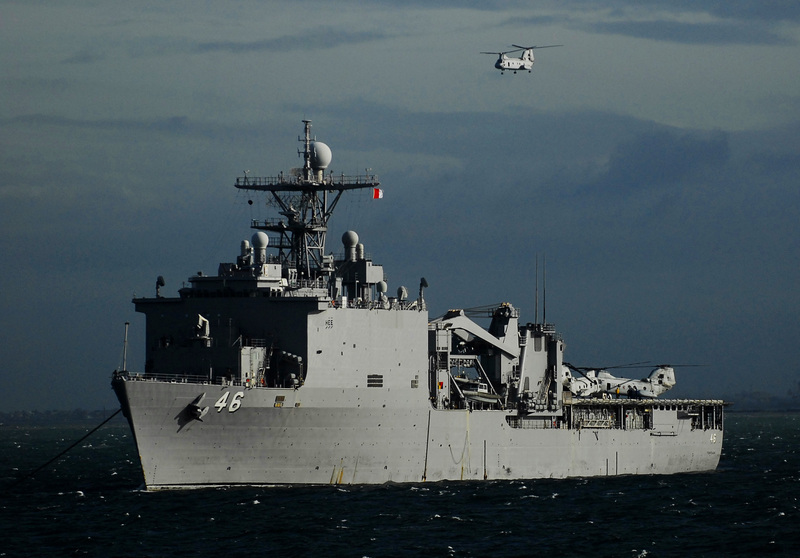 937k USS Tortuga (LSD-46) conducts flight operations in Manila Bay. 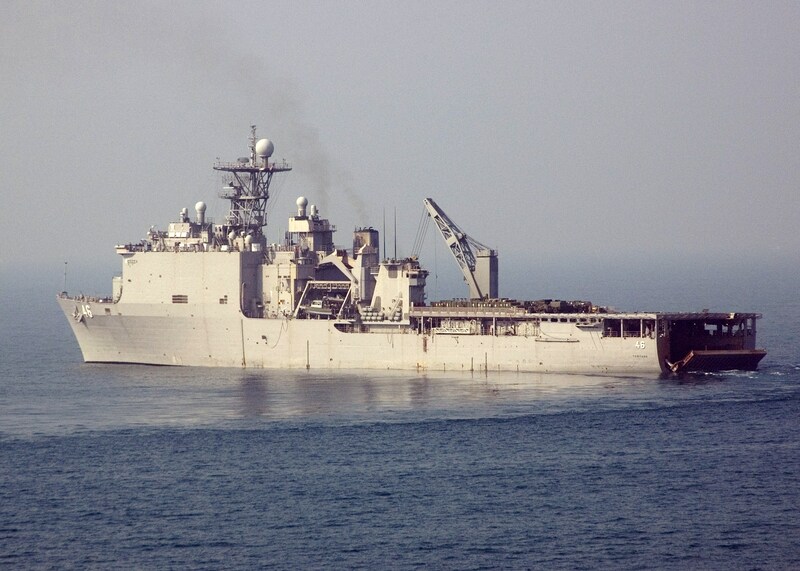 Tortuga and the amphibious dock landing ship USS Harpers Ferry (LSD-49) and the 31st Marine Expeditionary Unit (31st MEU) are supporting humanitarian assistance efforts in the wake of Tropical Storm Ketsana at the request of the Republic of the Philippines. 884k USS Tortuga (LSD-46) and USCGC Mellon (WHEC-717) pass at sea during a division tactics exercise for Naval Engagement Activity (NEA) Indonesia 2010. 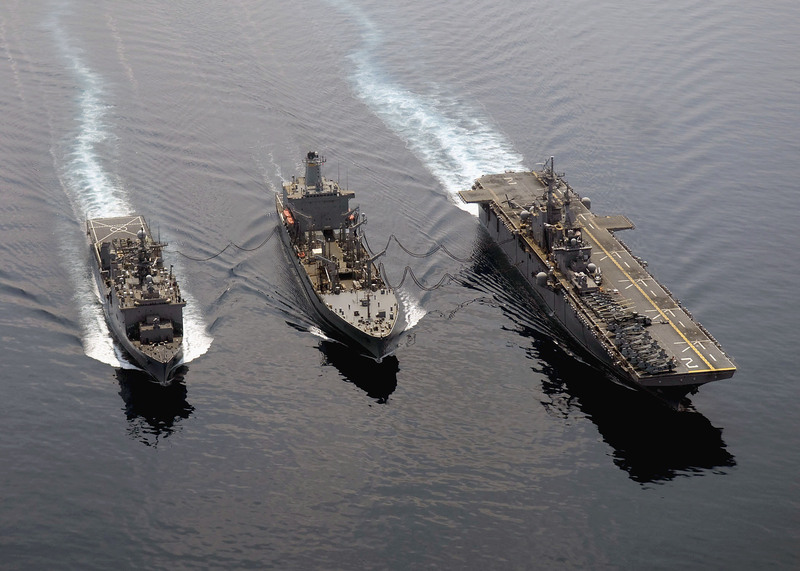 NEA is part of the Cooperation Afloat Readiness and Training (CARAT) series of bilateral exercises held annually in Southeast Asia to strengthen relationships and enhance force readiness.